Lamai's miserable life changed in an instant. 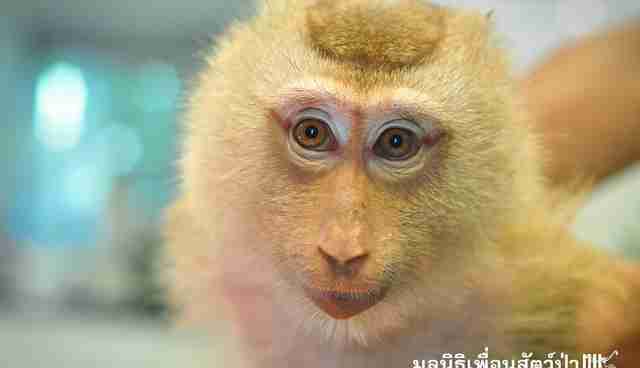 A northern pig-tailed macaque, Lamai was being kept as a pet in Thailand, according to Wildlife Friends Foundation Thailand (WFFT). 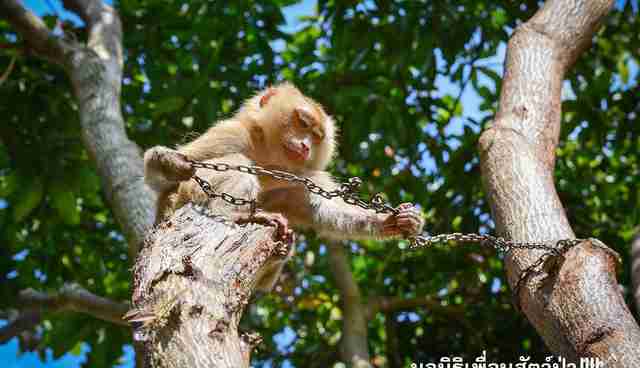 Stolen from the wild as babies, monkeys like Lamai often end up in chains when they become older and want to be wild. "The idea of keeping a monkey as a pet seems to appeal to many people, this is when they are young, small and docile enough to handle," WFFT explained on Facebook. "A few months down the line they are no longer receptive to human contact, as their wild instincts become more and more evident, they can no longer be handled like babies. This is when the reality of the often long miserable life in captivity starts." 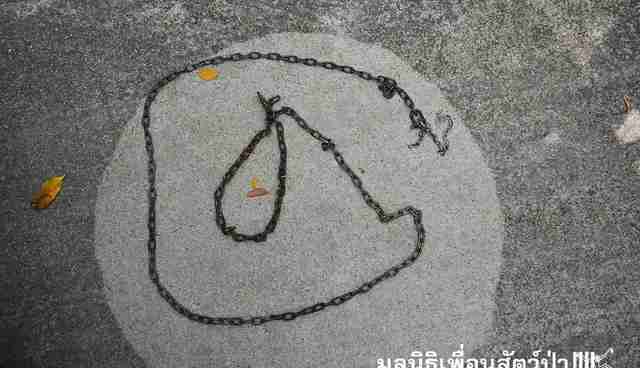 In Lamai's case, her owners, not knowing what else to do with her as she grew, chained her to a tree. She spent four years this way. But this week, everything changed for Lamai. Philip Brook, of the Samui Snake and Wildlife Rescue, contacted rescue workers at WFFT about Lamai. She was in "urgent need of medical attention, and in need of refuge after her 'owners' were leaving the country," WFFT wrote on Facebook. Lamai's belly was wounded where the chain was cutting into her. 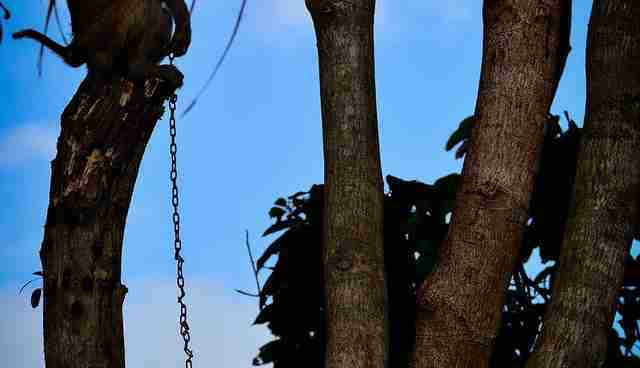 Rescuers got to the tree Lamai had been chained to for years, and hurried to remove her chain. 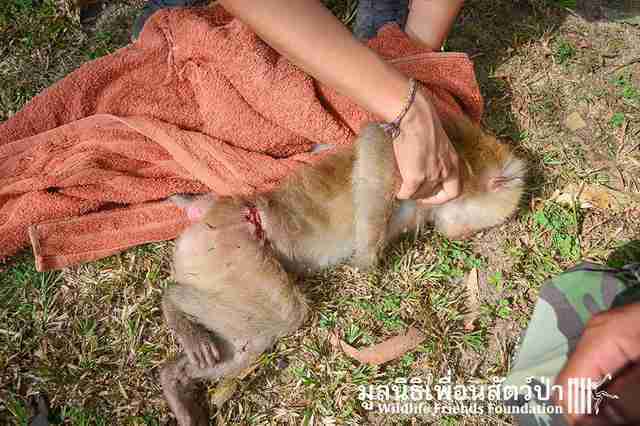 After examining Lamai for further injuries, rescuers brought her to the WFFT Wildlife Hospital. 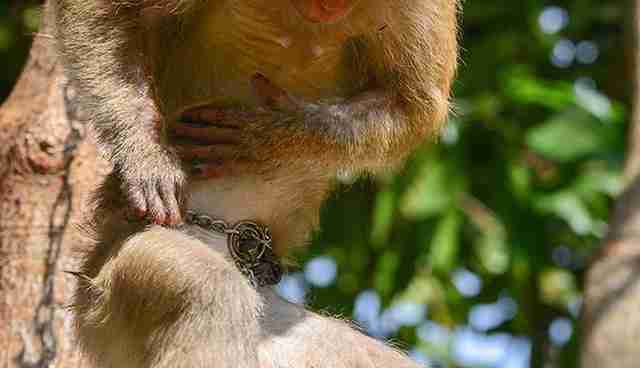 "The vet team [was] shocked to see the damage done by the chain that was used to brutally restrain her," WFFT wrote. "[T]his chain has been around her waist for most of her short life, the damaged caused may have led to her death if she was not rescued." 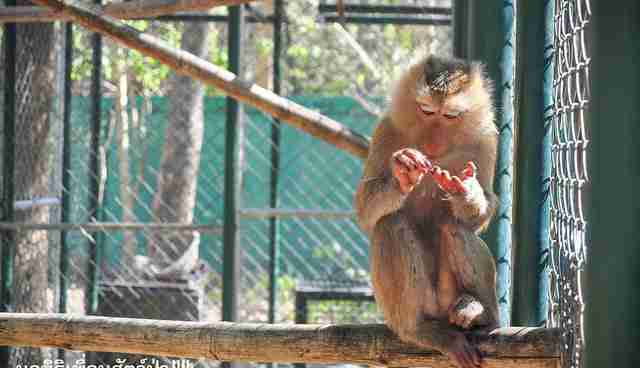 Lamai is settling in well at the rescue center, according to WFFT. 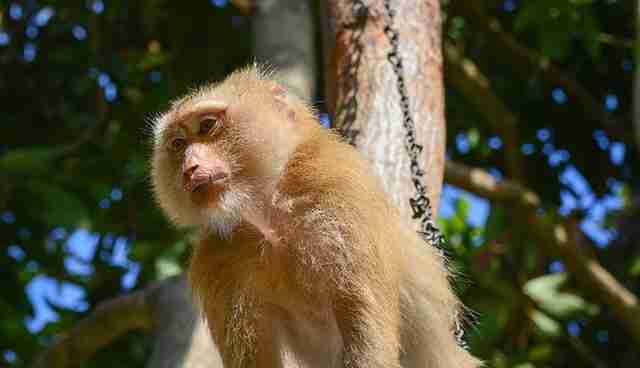 After a period in quarantine, she will be introduced to some of the other macaques who live in an expansive fields at WFFT and can relate to her own painful past. Best of all, she'll never know life on a chain again. "Thankfully we got to Lamai soon enough," WFFT wrote. 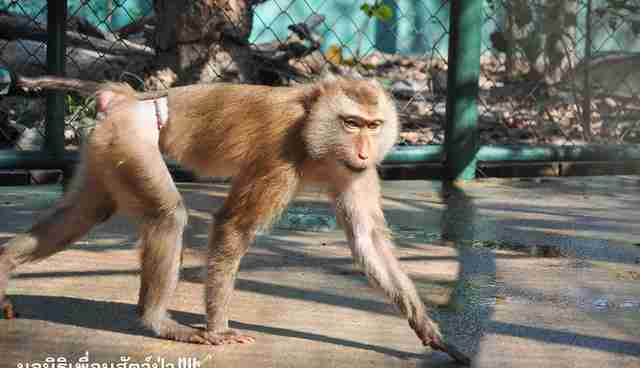 Click here to help WFFT care for animals like Lamai.